Examining further these sensitive and profound subjects that are of immense global importance, in addition to the ritualistic 'number 11' managed by the sly manipulators of 'both sides or factions', the 'alien Illuminati-Reptilian' influence and 'the terrible covert attacks on the Twin Towers of New York', massive 'economic fraud' has come to light that involves many 'government and private institutions'. Since 'the end of 2012', their nefarious plans have begun to irrevocably 'unravel'. There is a 'superior and cosmic energy or power' that is enabling 'its terrestrial allies' to 'unmask-reveal quickly and conclusively' everything that has been secretly 'concealed' for many years. In this case, we are referring to certain 'financial irregularities' carried out by large and prestigious banks such as 'HSBC, Barclays, Santander, J P Morgan, the Vatican Bank, Banco Ambrosiano, the Royal Bank of Scotland, Goldman Sachs' and many others. Could it be that their 'schemes' and terrible financial wrongdoing are 'coming to the surface'? Has 'this enormous network' anything to do with the recent 'scandals within the Vatican' which led to the dismissal of the well-known 'God's banker' Ettore Gotti Tedeschi, as well as other high-ranking officials? Could this also have been 'the trigger' that led Pope Benedict XVI to abdicate his throne on '11 February', which was 'an unheard-of renunciation' in the history of the Catholic Church? Several centuries ago St Malachy predicted that there would be '112 popes' before the end of civilisation and 'the Catholic Church'. Who is this last Pope? Is he the one of 'the visible face' that we all now know or the one of 'the shadow', who hides himself extremely well? What does it mean that Jorge Mario Bergoglio (Francis I) is 'the first Jesuit pope in history' and that just at the very moment of 'the presentation' of the newly-elected Pope, 'several UFOs' were sighted over St Peter's Square in the Vatican? Why has Catholicism 'become involved' in matters concerning 'the existence of life on other planets'? 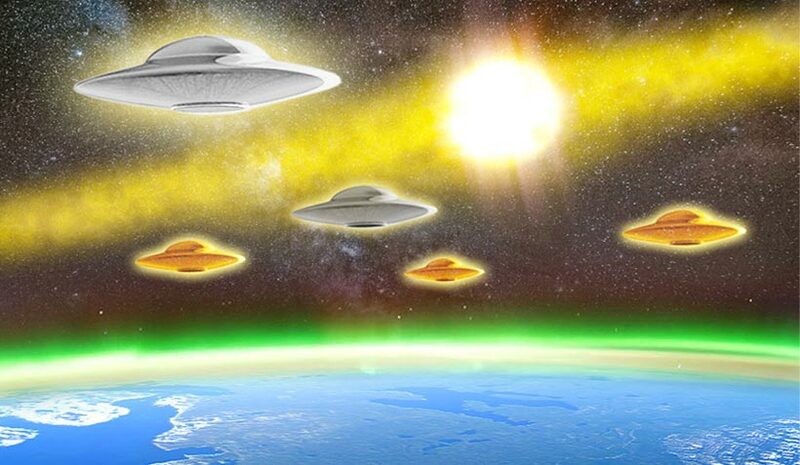 Why has the theologian Corrado Balducci, one of the most prominent official 'exorcists and demonologists' of the Vatican and also a 'Jesuit', spoken emphatically on the existence of 'UFOs and extraterrestrials'? Why '2 heralding comets' coinciding with two popes, one 'emeritus' and the other 'in office' on the same dates? Are they 'ill omens or a thorough renovation' everywhere, so as to begin 'the new Era of photonic light'?